And it was always said of him, that he knew how to keep Christmas well, if any man alive possessed the knowledge. May that be truly said of us, and all of us! And so, as Tiny Tim observed, God bless Us, Every One! Is there one among us who is unfamiliar with the Ghosts of Christmas Past, Present and Yet to Come? Who knows not that Marley was dead, to begin with, in fact, “dead as a door-nail?” Whose tears of Tiny Tim’s untimely fate have not been shed? A Christmas Carol, published by Charles Dickens, in 1843, has been adapted more times than the number of its pages (160) with portrayals as varied as Mr. Magoo and Alastair Sim. Wikipedia has an exhaustive (and at times amusing) list: http://en.wikipedia.org/wiki/Adaptations_of_A_Christmas_Carol. (I did not realize there had been a Jetson’s Christmas Carol — how could I have missed that?) And here’s a completely new version: novelist Neil Gaiman reading Dickens’ own hand-edited copy at a public reading at the New York Public Library: http://www.openculture.com/2014/12/hear-neil-gaiman-read-a-christmas-carol-just-as-dickens-read-it.html. Incidentally, there are several free, full texts of the novella on line. A Christmas Carol takes merely an hour or so to read from cover to cover, yet is filled with an indelible story, spirit, characters and lines we all know by heart. 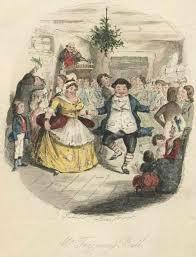 His body was transparent; so that Scrooge, observing him, could see the two buttons on his waistcoat behind. Scrooge had often heard it said that Marley had no bowels, but he had never believed it till now. So, yeah, it’s a classic, we know we know. Get to the recipes. I shall but before I do, may I wish you and yours the Merriest of Christmas, the Happiest of Hanukahs, the most blessed of Kwanzaas . . . and God Bless Us, Everyone. 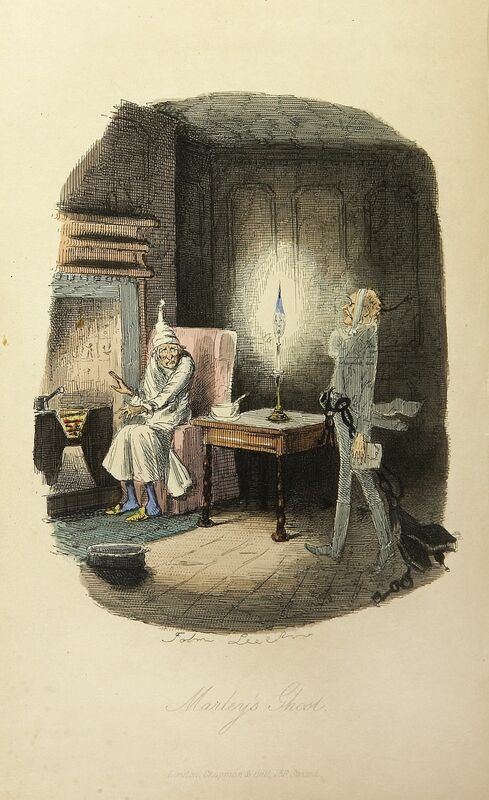 When the Ghost of Christmas Past transports Scrooge to Fezziwig’s ball, a splendid repast is detailed.
. . . there was cake, and there was negus, and there was a great piece of cold roast, and there was a great piece of cold boiled, and there were mince-pies, and plenty of beer. Negus? Negus. Apparently a concoction made of wine, hot water, lemon, sugar and nutmeg, invented by Col. Francis Negus in the 18th Century. 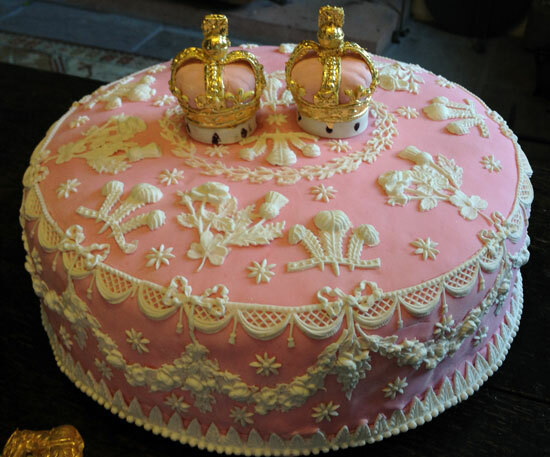 Thanks to Jane Austen (janeausten.com), I can share with you the recipe should you be so inclined to go all out Regency/Victorian at your book club. http://www.janeausten.co.uk/negus/ I also tried to find the definitive answer for what “cold boiled” might be. There are disagreements as to whether it is boiled beef, pork or chicken. To all boiled meats I say: NAY! There’s another fine description of foodstuffs when the Ghost of Christmas Present appears surrounded by a mountain of comestibles. This is quite the food pyramid.
. . . turkeys, geese, game, poultry, brawn, great joints of meat, suckling-pigs, long wreaths of sausages, mince-pies, plum-puddings, barrels of oysters, red hot chestnuts, cherry-cheeked apples, juicy oranges, luscious pears, immense twelfth-cakes, and seething bowls of punch . . . Chestnuts: Preheat oven to 400. Using a very sharp knife, mark raw chestnuts with an X. Bake on a cookie sheet for 15-20 minutes. Turkey. Now, let me tell you I’ve been elected/volunteered to be the family chef of the turkey for the past couple of Thanksgivings and by combining the wisdom of two of my favorite chefs, Mark Bittman and Ina Garten, I think I have come up with the perfect turkey recipe. First, prepare the turkey by removing all the stuff inside. Get out a stick of butter and let it melt a bit so you can mush it up. Get your hand between the flesh of the turkey breast and the skin and rub as much of the butter on the turkey all over as you can but don’t break the skin off. Salt and pepper the bird, inside and out. Inside the turkey, I always place a cut orange and cut lemon to keep it moist during cooking. If you want you can add rosemary under the skin with the butter. Now, put more butter on the exterior of the bird. Now, preheat the oven to 500 degrees (yes, 500! have no fear). Place the turkey on a rack inside a roasting pan. Add 1/2 cup white wine to the bottom of the pan. Roast for 20-30 minutes without basting just until the top begins to brown. Then turn the oven to 350 and continue to roast, checking and basting every 30 minutes or so. If the top gets too brown, cover it with aluminum foil. I had a 16.9 pound turkey this year and it took about four hours and was perfect and juicy and delicious. Almost too easy. Skip the radio MixMas, or MixMess, that plays only Feliz Navidad and Holly Jolly Christmas repeatedly. I’m listening to the Holiday Hits channel on TimeWarner Cable as I write this afternoon, Channel 850. I love, love, love Songza! A free app that lets you choose music to accompany your activity. And of course, there’s spotify and pandora. My buddy conductor Robert Baldwin has shared a blogpost that lists ten classical Christmas works, less well-known than the Messiah: https://beforethedownbeat.wordpress.com/2013/12/21/lets-expand-our-holiday-horizons/. So, that should leave you all set for a great book club discussion of A Christmas Carol, or a 12th Night party, or just . . . a great meal.